Faraway Press: The Online Home of John Jackson Miller: Knights of the Old Republic #43: Ice, Ice Baby! 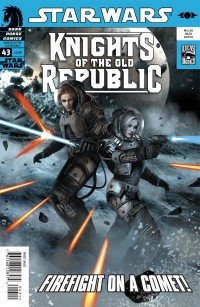 Its great to see two of my favorite KotOR comic characters packed in with one of my favorite issues. Congrats on getting action figures made from your work! !